When I joined the SketchUp team a few months back, I did what most people do when they want to learn about something new: I plugged “SketchUp” into my favorite search engine. It wasn’t long before I found my way to this wonderful interview of concept artist Robh Ruppel done by our friends at SketchUpArtists.org. 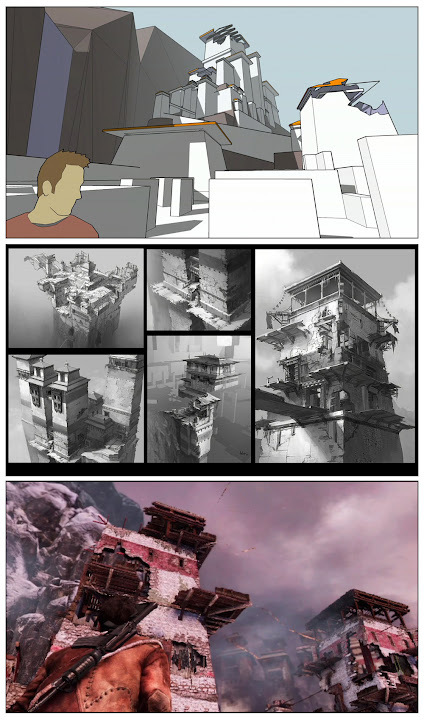 Robh was the Art Director on the massive PS3 hit Uncharted 2: Among Thieves. In this interview, he discusses how he used SketchUp to help conceptualize and design the video game’s look and feel. For those of you who aren’t gamers, Uncharted 2 was big—really big. Think Avatar. Driven by cutting edge graphics, dimensional characters and a gripping story, Uncharted 2 was a runaway critical and commercial success. To date, the game has sold over 3.5 million copies worldwide. It’s the fastest selling first-party title for PlayStation and was named by Metacritic as the most critically acclaimed game of 2009. 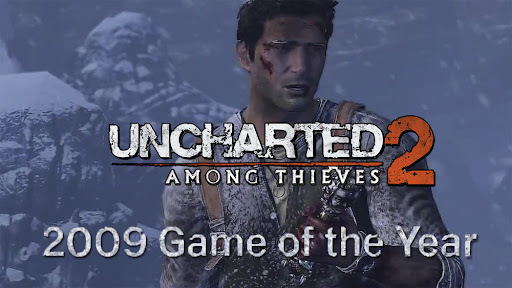 Uncharted 2 won over 100 awards, including Game of the Year accolades from publications like IGN, Eurogamer, Game Informer, Joystiq, Kotaku, AIAS, Game Developers Choice Awards, and the Spike Video Game Awards. 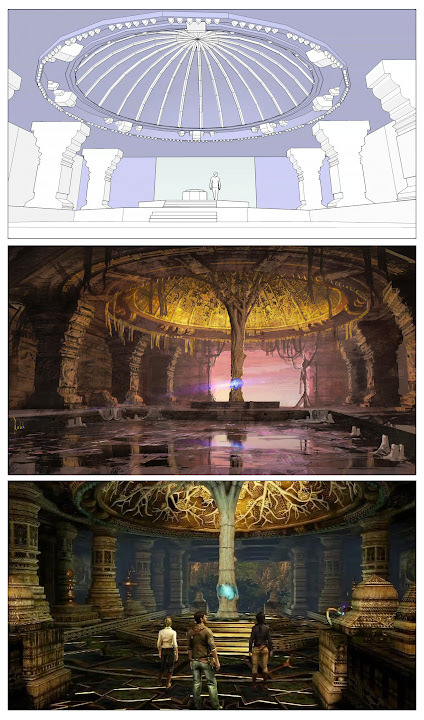 Robh uses SketchUp to determine the size and major shapes of the game’s environments. One of the hardest parts about this project was distilling Robh’s many pearls of wisdom about concept art, designing in 3D and SketchUp into a YouTube video, so we’ll follow up with another post in the coming days that has a transcription of our entire interview. One more thing: If you found this video compelling, check out the trailer for the upcoming Uncharted 3: Drake’s Deception. I’ve already pre-pre-ordered my copy. Uncharted 2 wasn't that big. Don't "think Avatar". I work at GameStop and it sold like 10 copies in its first day. If only there was a native linux version of SketchUp:(. The Uncharted Series is brilliant. Really interesting to find out that Google SketchUp was used in the design process. Awesome! Awesome game, awesome software, awesome article, awesome video. Mr Ruppel has identified the key advantage of using SketchUp - its great ability to create a geometrical assembly of arcitectural items. I don't think google realizes just how much work linux users would do in Google Earth creating buildings if they release a version for us. Linux people by nature give back to the community and love to tinker. PLEASE give us a linux version!!! Wow, I love the fact that Sketch Up was used in the development of this game. Everyone always seems to talk about 3D Max and Maya for game and animation development, which, let's face it, takes forever to learn. I use Sketch Up for all my design work, and I have often wondered why such an intuitive program is not used more in these types of applications. I am glad to see that is changing! I may just have to pick up a version of Uncharted and check it out. Good work!